Have you ever dialed that number you know by heart to ask a simple question (How much sugar is in Grandma’s famous recipe?, What’s the name of that song we used to sing in the car during road trips?, or What’s Uncle Ernie’s oldest daughter’s name?) and realized halfway through the 2nd ring that she wasn’t going to answer? That she isn’t able to anymore. My senior year of high school, I lost three women in my family within 3 months of each other. My grandmother passed away on her trip to Texas for my high school graduation, my stepmom passed away after an arduous battle with lung cancer, and we lost my aunt one month later. Death is no stranger to me. Loss comes in all forms: the end of a relationship, the death of a loved one, getting laid off from a long-time job, or the loss of a pet. Though grief and coping with loss are certainly not topics we enjoy discussing, they are inevitable and thus, necessary. 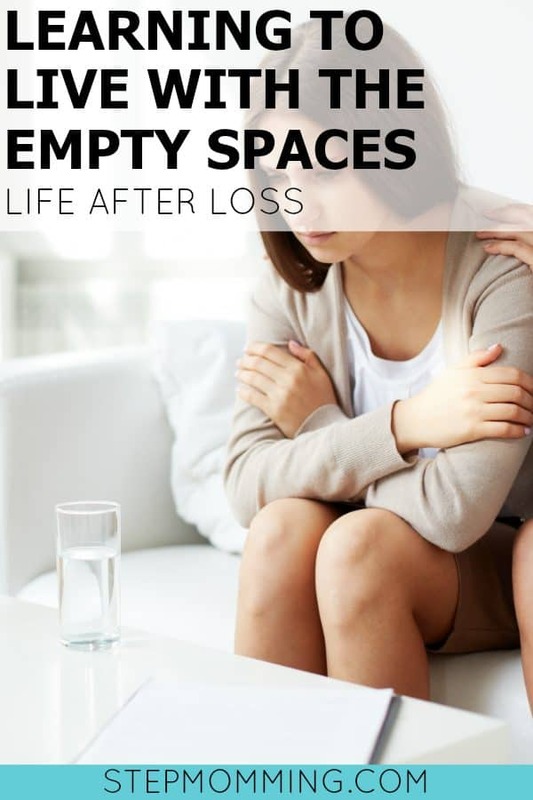 Grief has many faces, causes, and unique struggles, but it is possible to learn to live with the empty spaces. There are five typical stages of grief, but the coping process looks different for each one of us. I cope with loss differently than my fiancé Kevin does and differently than my daughter does. That’s just how we’re made: unique. Generally, however, we all go through five stages of grief. An initial reaction to grief is typically denial. The idea of coping with the loss is so overwhelming that we tend to go into shock and deny reality. By switching into autopilot and survival mode, our body can handle the overwhelming emotions by pretending they aren’t there. Our body’s natural tendency is to only let in as much as we can handle, so it denies the rest. One of the most obvious reactions to recognize is anger. You might be angry at your ex-spouse for cheating on you or filing for divorce. You could be angry at the doctors, the drunk driver, yourself, or even God. It’s so easy to be angry when you’ve lost something or someone you love. 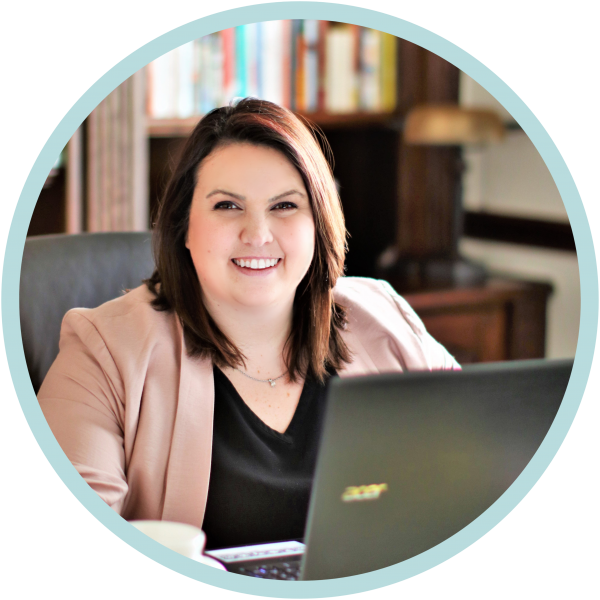 It’s extraordinarily common to experience bargaining throughout the grieving process. We ask, “What if?” and “If only…” and bargain with God thinking if He’d only allow you to wake up from this awful dream. You might even bargain with the hurt; you might be willing to do anything to make the hurt go away, or to actually feel something again. The most common stage associated with grief and loss is depression. The fog of depression feels like it might last forever. Though it’s not a pleasant stage, it’s necessary to give your mind time to process the pain. Allow yourself to feel the feelings; it’s perfectly natural. There’s hope in sight, I promise. The final stage is acceptance. This doesn’t mean that you’re magically healed or alright now. It simply means you’ve accepted that your loved one, marriage, job, etc. is not coming back. You’ve accepted the loss is real. It’s the first step toward finding a new normal in your life. I’ve said it once, and I’ll say it again. It’s entirely possible to learn to live with the empty spaces. What does that mean? It might be easier to tell you what it doesn’t mean. It doesn’t mean that it’s going to be easy. And it doesn’t mean that one day you’ll be “cured” from the loss. It doesn’t mean that the empty spaces will be small, rare, or fleeting. The empty spaces will still exist, but you’ll incorporate them into your life. You should seek to find a new normal. Incorporate a periodic ritual into your life that allows you to memorialize the loss you’ve experienced. Perhaps daily you write down 3 reasons you know that your divorce was the right decision. If you’ve lost a loved one, you could visit the grave or memorial site weekly or monthly. Maybe instead it’s a daily talk with the one you’ve lost or a journal entry or letter to your loved one. Whatever your method, find a daily ritual that allows you to develop a new normal for yourself that acknowledges the loss in a productive, healthier way. In addition to your new periodic routine that will allow you to normalize the loss in your life, I also want you to start looking for the light. There will be signs that someone’s looking out for you and that this is all part of a bigger plan, even if it feels incredibly painful and royally unjustified right now. I have a friend from high school who lost her mother far too young to a heart attack. My friend sees the light in heart-shaped items in the world around her. She saw a leaf shaped like a heart, a shadow, etc. and they all gave her hope. She knows that her mom is with her when she sees the hearts, and it gives her strength and tranquility. I have chosen to use the loss of my stepmom to cancer as an avenue to advocate for cancer research and increased funding. I partner with the American Cancer Society and their Relay For Life initiative each year to raise thousands of dollars contributing to a cause that is so near and dear to my heart. Cancer took far too much from my family, and I don’t want it to take anyone else’s mom. So I fight back. Find the positive from the loss, however that looks to you. I cannot even fathom the pain that must accompany the loss of a child. I am not an expert, so I’d really like to direct you to the American Association for Marriage and Family Therapy. They’ve written a piece on the loss of a child and provided valuable resources that can help with finding a new normal for anyone in this situation. Check it out here: Grieving the Loss of a Child. It is uncomfortable, heartbreaking, and overwhelmingly difficult to discuss loss with children. I remember the first time I saw my brother after the loss of his mom (my stepmom). He was 6 and looked up to me with his big brown eyes and said quite simply, “Mama’s in Heaven now.” He was excited about it, excited for her. A few days later at her wake, he finally understood what it meant when he could see her and speak to her but she couldn’t respond to his words or touch. It’s unbearable still to this day, even though it was 9 years ago. I’ve learned that it is absolutely critical to have these conversations and to balance the natural conflict avoidance reaction with the mature emotional response. I was 17 when I had to explain death to my young brother and sister. Though it will be difficult and emotionally trying, it is your responsibility to help children cope with loss and learn to live with the empty spaces. For further assistance, including details for conversation and allowing children to set the boundaries to discuss loss, review this article “Talking to Children About Death” provided by Hospice. This section may include affiliate links. This means that we may receive perks (at no cost to you) from your purchase of items through these links, but please note that we only recommend products we know and love. Thanks for supporting us! To find out more about affiliates, check out our disclosure. 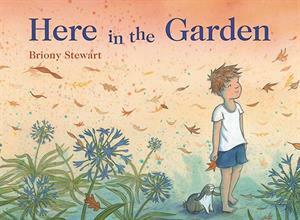 Here in the Garden is a story about a boy who loses his pet and learns to cope with the loss. It tells a beautiful story that is touching and helpful to both children and parents. 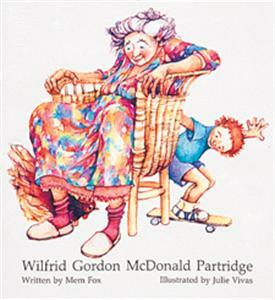 Wilfrid Gordon McDonald Partridge is especially impactful for children with grandparents or family friends suffering from dementia or Alzheimer’s. It can be so confusing for children, and this story helps them navigate some of those challenges as they watch Wilfrid Gordon help his 96-year-old friend recover her memory. Coping with loss is not a destination; you’re not magically healed one day. It’s a journey. You are guaranteed to experience at least a few of the 5 stages of grief (if not all of them), but if you work toward finding a new normal and look for the light, you will be well on your way to finding a life that allows you to live with the empty spaces. You’ll still pick up the phone to ask what Uncle Ernie’s oldest daughter’s name is, but eventually you’ll handle it better. You’ll smile as you cry. And you’ll find a way to remember the loss in a positive way. Keep your head up, Mama. You’re a rock star. I’m so sorry for your loss. I lost my father a few years ago and the pain just doesn’t seem to go away. Thanks so much for stopping by, Kellie – I’m sorry for your loss too! I’m just thankful I’ve found a way to embrace the positive. Thankfully I have never had to deal with the loss of a child but I have had to help my boys deal with the loss of family members. The more expected deaths of elderly people seem to be much easier to help them overcome than those unexpected deaths where it seems like they were healthy one day and just gone the next. We struggled for quite a while to find a way to explain how and why they were gone without making them fear that they too might die. Loss is such a hard complicated process; this is a wonderful article!